Kandathipili is a long pepper root have lot of medicinal uses. 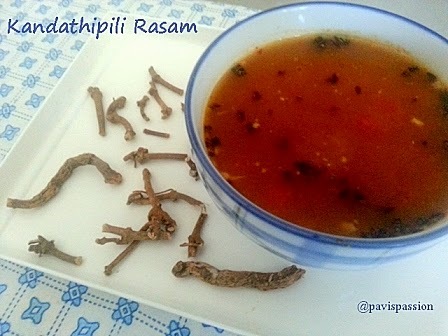 Kandathipili rasam is made for the ailment of body pain, nausea, general tiredness, bronchitis, cough and cold. This rasam is frequently made for the postpartum delivery meals(pathiya sapadu). It will be available in all south Indian herbals shop. 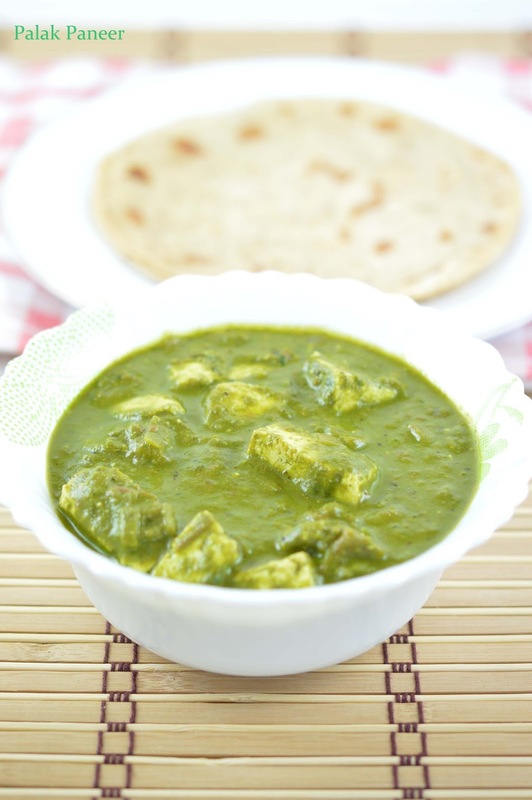 I tried this recipe many times.. but it tastes awesome when i tried it from My Mom's cookbook. I often do this recipe when i feel tired and after a long travel. 1. Soak tamarind in 1/2 cup water. 2. Heat 1/2 tsp ghee in a pan and fry the ingredients one by one given in the Roast and Grind column.leave them cool then grind the mixture into fine powder. 3. Extract the juice from tamarind. then add the chopped tomato,required salt ,and 1 cup of water into it. Boil this for 2 minute. 4. After boiling add the ground mixture to it let them boil until it bubbles out. 5. Temper the rasam with the ingredients in To Temper column. 6. Serve hot with rice or take this like a soup. 1. 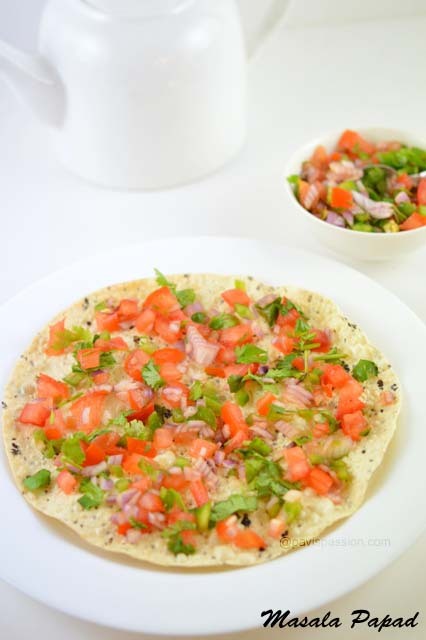 Adding tomato and dry coconut is purely optional without this you can make this rasam(my mother in law wont add). 2. Don't add more than 1 stick of kandathipili to rasam.